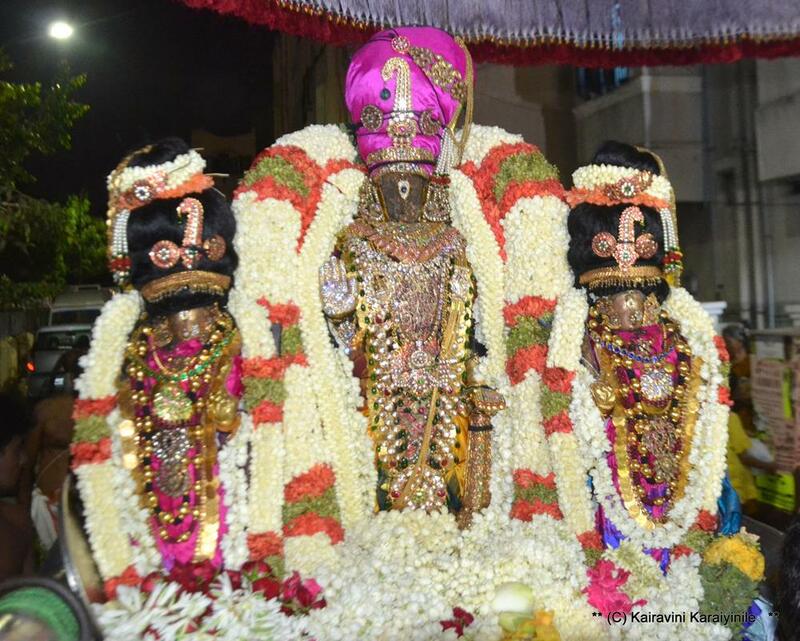 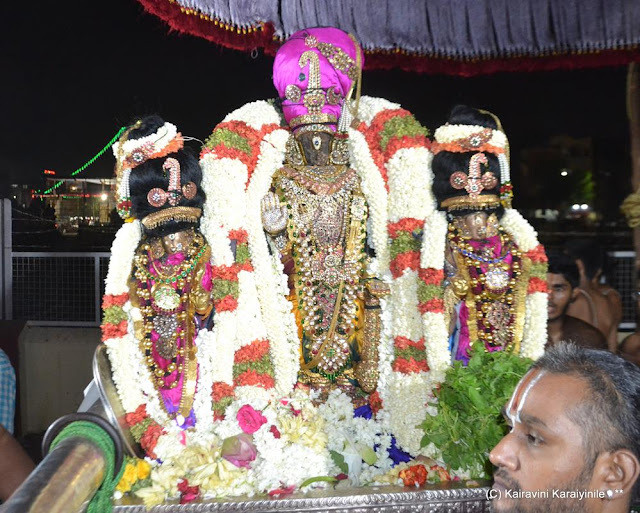 இன்று 18th Apr 2o17 - ஏழாம் நாள் உத்சவம் - காலை திருத்தேர். 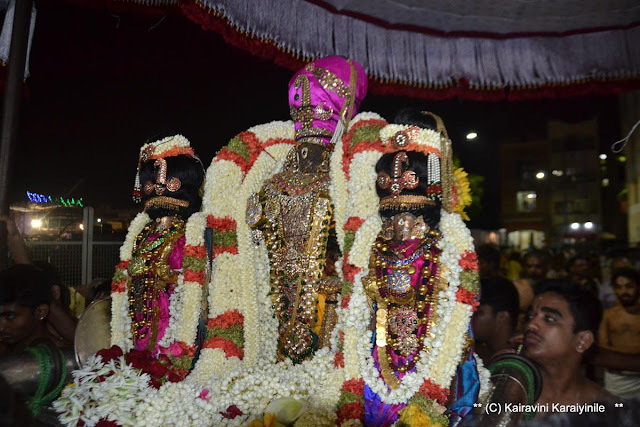 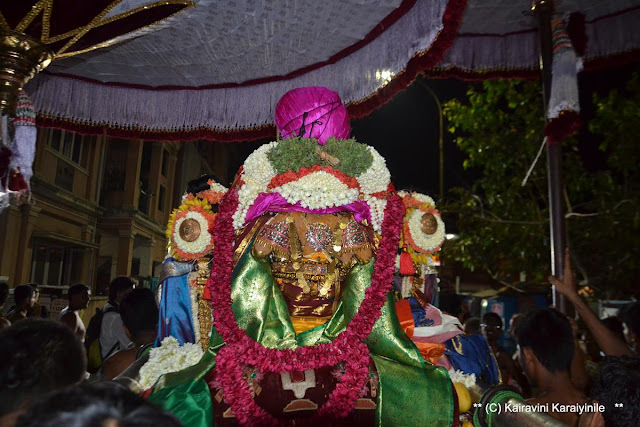 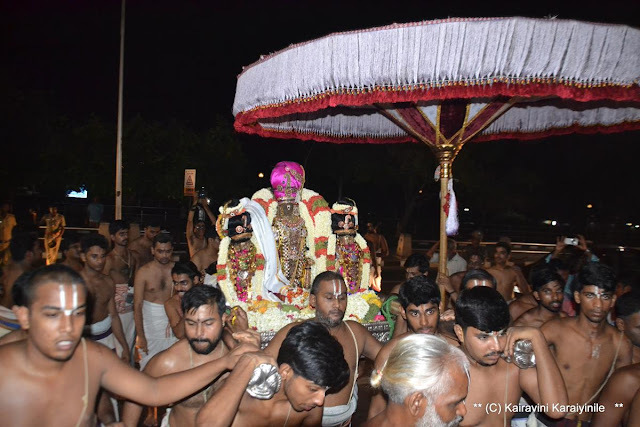 After the grand Thiruther purappadu – Sri Parthasarathi remains seated on the Unjal inside the Thiruther enabling thousands of devotees having darshan. 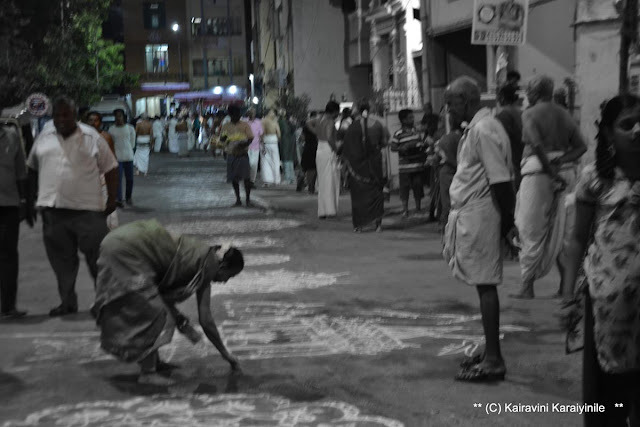 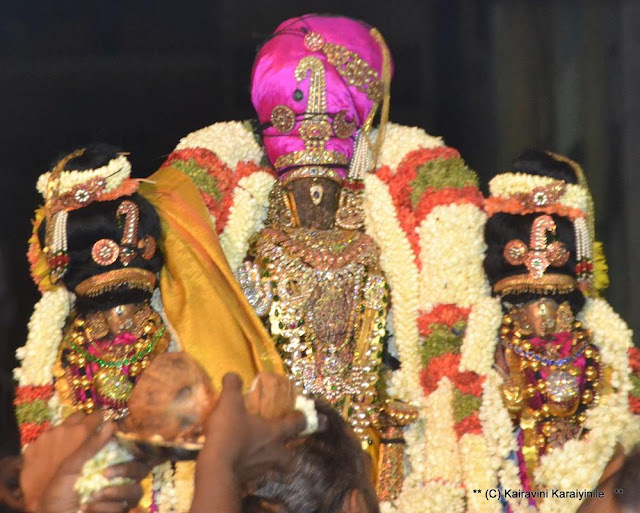 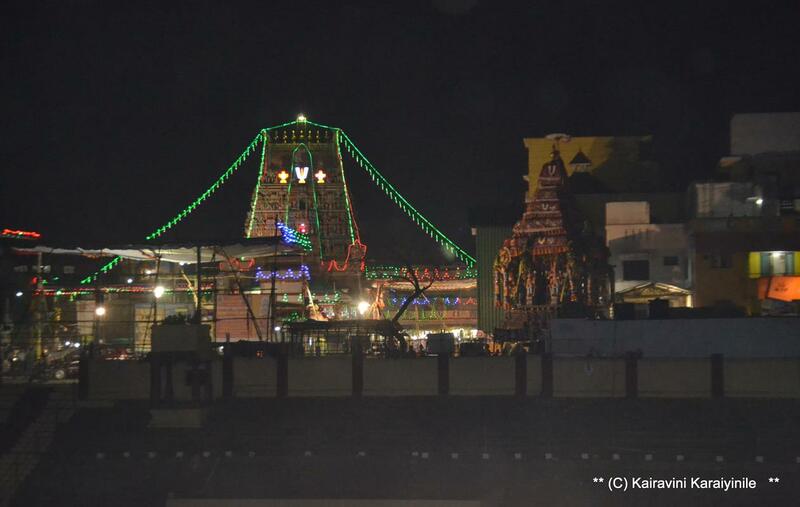 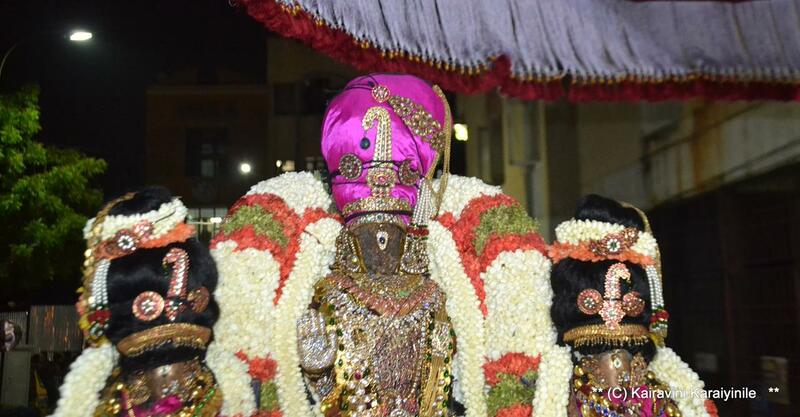 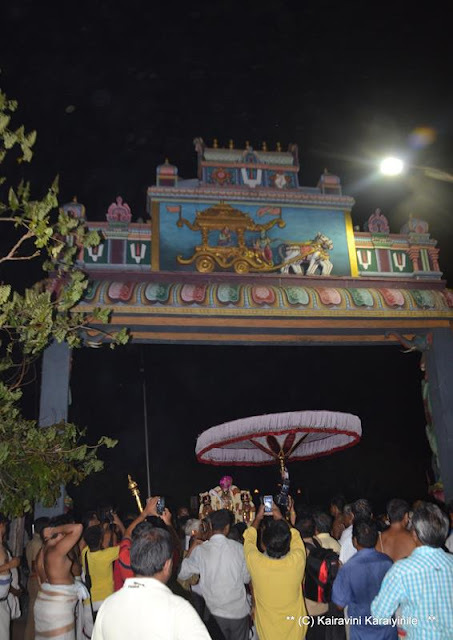 In the evening occurs ‘pathi ulavuthal’; immediately followed by purappadu till the eastern entrance in Sunkuwar Street on the Marina beach road. 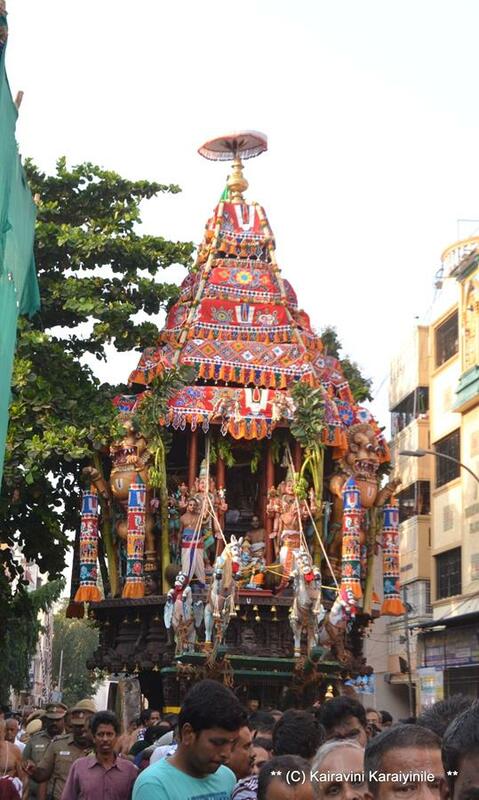 One of the few occasions whence Perumal has purappadu outside the precincts of Mada veethi and Kulakkarai. In earlier days, there used to be thotta thirumanjanam at Vasantha Uthsava bungalow – now thirumanjanam takes place at the Andal Neeratta mandapam.